RNC Convention: The speeches are filled with false claims and misleading rhetoric. New Jersey Gov. 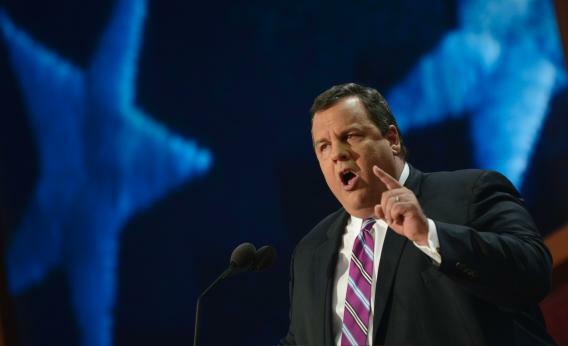 Chris Christie addresses the 2012 Republican National Convention at the Tampa Bay Times Forum on Tuesday. When will the fever break? When will the public’s tolerance for objectively false claims about issues that actually matter end? When will there be a wholesale rejection of the nonsense from the Republican convention? These are the questions I kept asking myself last night as I watched the procession of rhetoric-laden, unsubstantiated, and patently false speeches in Tampa. There seemed to be no end to the claims that President Obama has reduced our freedom, run roughshod over the Constitution, and brought economic decline and loss of virtue to our nation. Yet not a data point, not a specific claim, not even superficial evidence to substantiate this parade of horribles was given. Nor, of course, could there have been. Texas Senate candidate Ted Cruz, the new shiny toy of the Tea Party, tried to impose intellectual respectability on their rhetoric, but he was as vapid as the rest; Gov. Chris Christie delivered a grotesquely self-indulgent tirade that would make one think New Jersey had become in truth a garden state under his leadership, rather than a state mired in structural deficits with an unemployment rate going the wrong way. And, of course, there was not a single reference the true cataclysm created by the prior Republican president, George W. Bush. Nor a word about the plunder of our nation by the corporate interests that control the Republican Party and then devour and destroy the public discourse by flooding the airwaves with false advertising. I am waiting for the moment akin to that in the Army-McCarthy hearings, Joseph Welch’s famous, “At long last, have you left no sense of decency?” Welch crystallized a public’s realization that “big lie” falsehoods can provide momentary relief but are in the long run extraordinarily dangerous. We need another such moment, or else a public in the thrall of the big lie may vote in a government led by individuals who will do real harm to this nation.